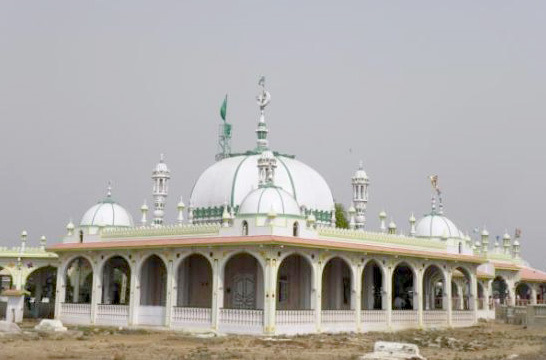 Ameen Peer Dargah (Asthana-e-Magdoom Ilahi Dargah complex) (Badi Dargah, Pedda Dargah) in Kadapa (Cuddapah) is an example of the communal harmony preached by great saints and sages in ancient days. Come Thursday and Friday, scores of pilgrims cutting across religious faiths, throng the the 300-year-old shrine seeking blessings of saints Peerullah Hussaini and Arifullah Hussaini II who lie buried here. Followers of the dargah believe that any wish that one makes at the shrine is always fulfilled. A large number of Hindus, Muslims and people of different faiths are disciples of the shrine. The family’s descendants identify themselves with a saffron dresss and the disciples wear a saffron cap. Khwaja Peerullah Hussaini (popularly known as Peerullah Malik), a devout Muslim born in Bidar (Karnataka), founded the Aasthana, in 16th century. Peerullah Malik was a linage to Prophet Mohammed. He visited mausoleums of all Sufi saints of India, as also that of Khwaja Moinuddin Chisti at Ajmer, where he received instructions to move to the kadapa region. On the way, he stopped on the banks of Pennar River (near Chennur). 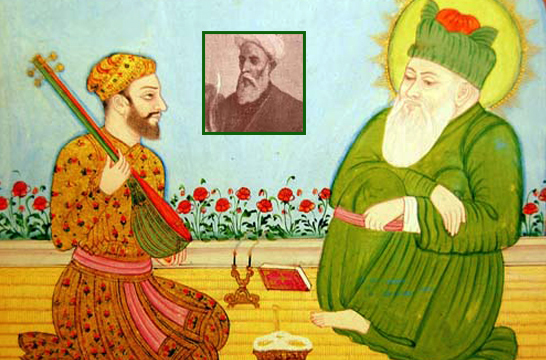 Nawab Nek Naam Khan, the then Nawab of Sidhout Taluk also presented himself to the Sufi and paid his respects. Following the instructions of the saint, the Nawab named the town as Nek Naam Abaad, which later became Cuddapah, over a period of time. The saint devoted his life to spread the message of peace, love and communal harmony. Legend has it that once some people demanded that they would trust him only if he could show them a miracle. The Sufi accepted their challenge. The earth opened for him and he descended into it alive, thereby attaining Jeeva Samadhi (1716 AD)here on the 10th day of Muharram month (first month of Muslim calendar). Three days later, people saw him performing prayers in the same place. After his death, Nawab Abdul Hameed Khan Mayana got his mausoleum built. Just to the east of the mosque, Peerullah’s tomb is found in a closed room with two entrances, one each in the western and southern walls. Flocks of pigeon descend on the tomb complex and are fed by the pilgrims. Peerullah’s Urs is celebrated on the 10th day of Muharram every year. Khwaja Peerullah had two sons. One of them died childless. The other son Arifullah Hussani-I attained higher levels of mysticism and spirituality. His son Ameenullah Hussaini-I, had three sons: Shah Peerullah Hussaini, Yadullah Hussaini-I, and Arifullah Hussaini-II. Arifullah Hussaini II was a devout Sufi and he immersed himself in the love of God. Legend has it that he once paid a visit to his grandfather’s tomb at Bidar. The gateman asked for his credentials and refused to open the door for him. The saint called (Ya Jaddi, O’ father) loudly. Then a voice from the tomb (Marhaba Ya Waladi, Come, my son) welcomed him. The door automatically opened for him. Arifullah II spent some time there, and then shifted to the mausoleum of Ameenuddin Aala at Bijapur. He went to Ahmedabad and Ajmer, where he received instructions for going to Tadipatri (Anantapur District). He spent 40 years in deep meditation and prayers in the caves and forests of Tadipatri. It is also believed that a python used to stay guard outside his cave. He came to the forests of Gandi in Cuddapah district and spent his time in prayers till he turned 63. Besides being a saint of high order, he was also a great scholar, and an eminent poet. 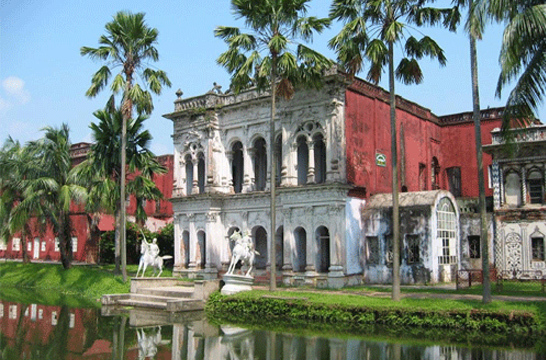 There is a wide hall aligned along the east west axis containing a number of tombs. The highest tomb among them belongs to him, whose Urs is celebrated in Jamadi’ul Awwal (5th lunar month) of Muslim calendar. It is the biggest Urs of South India. The entire mausoleum complex is popularly known as Aasthana-e-Maqdoom’ullahi. This Urs brings millions of pilgrims to Kadapa from every nook and corner of the country. The shrine is one of the most peaceful and serene spots in Kadapa, free from distracting noises. Disciples of Hazrath Amin Peer saab and Shah Meer saab school of thoughts. exist all over Rayalseema and Coastal districts and carry out welfare activities on a large scale.